Yeah, maybe it’s just a coincidence. But based on the recent surge of enacted anti-vaping laws, maybe it isn’t. The gauntlet has been thrown down on American vapers, and it’s something we’ve been seemingly waiting on for years. 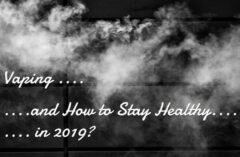 No matter how much science and evidence we glean from international studies, showing how e-cigarette vapor contains no consequential toxins, or that vaping doesn’t encourage cigarette smoking, the road still isn’t getting any easier for vapers. Considering the Florida government (which is undoubtedly comprised of more than one “Florida Man”) felt it appropriate to tack a vaping ban on the same amendment as an actual environmental health hazard, it doesn’t seem like things are going to change, either. 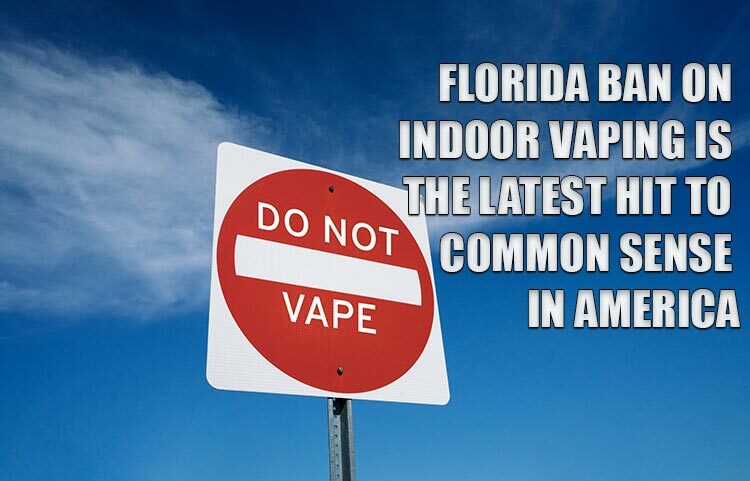 And many other “Florida men” agree – 69% of voters came together to pass the amendment, meaning that vaping will now be banned in all public indoor spaces. For now, there was no change to vaping in private residences, vape shops, smoker-friendly hotels and bars. But there was a time when we never thought cigarette smoking would leave bars, so how long will it be before this changes, as well? … or what scientific proof is, for that matter. Just ask the Centers for Disease Control (CDC)! A recent pair of CDC vaping studies show (again) that vapor is not causing any residual harm. One study showed that evaporated e-liquid contains the same amount of formaldehyde as the everyday air we breathe. 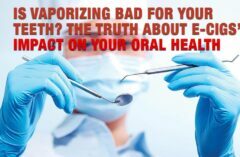 And the second study looked at vapor’s effects in confined spaces, showing that the evaporation of vapor happens within seconds, with no measurable changes to air quality, much less the presence of any toxins. Now, to be fair, we do believe in proper use and etiquette when vaping. If your practices are affecting the comfort of others, then use good judgment and stop for a few minutes. Maybe head outside in the name of human courtesy. No one wants to bite into a rib-eye steak with a cloud of vanilla-flavored vapor blown in their faces. That’s common sense and good citizenship. Of course, the same could be said about playing loud music, cooking spicy foods, bringing babies to the movies, not bathing, etc. Are we going to ban those practices, too? Not likely, even if they currently cause more discomfort and annoyance than an evaporating cloud of vapor ever could. Again, the term that needs to be enforced is “common sense” – yet, that’s the one thing lacking from nearly every anti-vaping stance out there. The fact that the FDA continues to lambaste vaping by lumping it into the same category as smoking is ludicrous, and damn near unconstitutional. Wait… why is Florida’s Amendment #9 unconstitutional? Because a disparate amendment like this lumps separate ideals on to one proposal, eliminating the voting power of anyone who is torn on the two items. In other words, if you’re against looming, inevitable ecological disaster from offshore drilling, but don’t mind if Bob from Accounting puffs on his pod mod a few cubicles over, Florida ensured you couldn’t have both opinions. That vote against oil and gas drilling automatically becomes a vote against vaping, even if you don’t have any opinion on the matter at all. And there’s a good chance the vaping portion of this amendment wasn’t offered up with any education for those unaware of what vaping is, or how it might affect their well-being. Was there any discussion of how vaping has helped cigarette-smoking rates drop to their lowest levels in years? Was there any anecdotal response from vapers who used these products to abandon tobacco use for good? Was there ANYTHING that presented a fair and balanced argument for the use of these products in a non-obtrusive, respectful manner? No. It was just tacked on to a much larger issue, given a mild thread of relevance via a few throwaway sentences from lawmakers, and put into motion. Sneaky, underhanded, and clearly driven by a larger agenda. Why are we acting surprised? Given recent bans to flavored e-liquids – because apparently tobacco leaf is the only “acceptable” option for adult palates – this amendment is just another ding in the armor of a growing industry. An industry, we might add, that is taking a serious chunk out of Big Tobacco’s profits. And that, my friends, is where the crux of this argument really lies. Though we probably have no need to say it, all of us at Spinfuel VAPE believe this to be just another misguided attempt by the government to throttle vaping until it finds a way to tax and levy users to its own financial benefit.